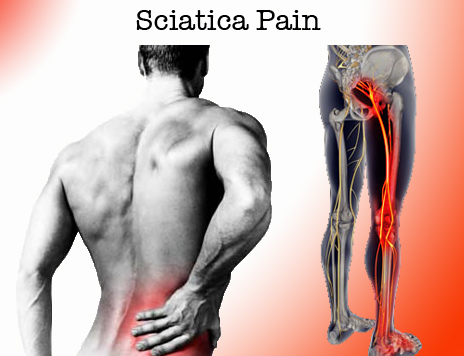 Sciatica is pain that radiates from the lower back into the buttocks and down the back of one or both legs. It is caused by the irritation of the sciatic nerves, one of the largest nerves of the body. It usually begins as an acute pain in the lower back and then radiates down the back of either or both legs. There are 5 pairs of nerves that exit the spine in the lower back. These nerves make up what we know as the sciatic nerves. If the vertebrae or bones in the lower back are misaligned or out of place, or the disc between the vertebrae are swollen, bulged or herniated, the result is pressure on those nearby nerves. This can cause tremendous pain, and normal daily activities become almost impossible.